APEMEN (Airline Performance & Disruption Management) is a research project carried out in collaboration with Boeing. 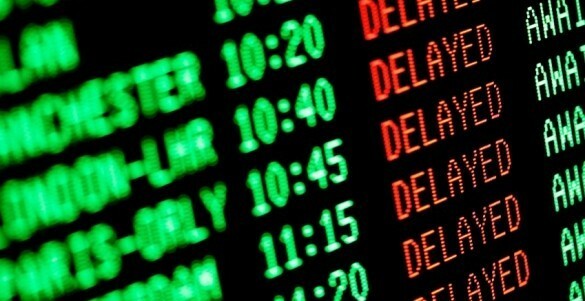 This project is exploring how short term optimisation and disruption management strategies can be better used to cater for within-day airline operational delays. The specific focus of the project is on areas such as fleet, passengers, crew, dispatch and navigation and their interface to other short term adjustments in areas such as maintenance, airspace, ramp and airport operations. An industrial project funded by Boeing to develop and implement a flexible tracking system and information architecture, for resilient production operations. The project brings together various tracking and direct part marking technologies with IT infrastructure to track materials and the associated process parameters in production. Additionally, the data captured from the system is used for advanced data analytics to analyse the root causes of quality problems and reliability prediction for production resources. 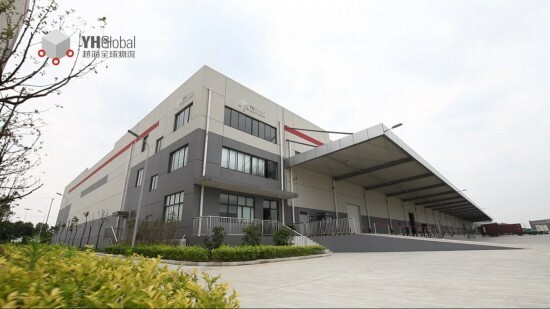 The Dynamically Adaptable Supply Chain Logistics (DASHlog) project started in March 2017 and continues DIAL’s research with YH Global Supply Chain Co., Ltd. The vision of the project is to enable YH Global to improve organisational performance by adapting quickly to new requirements, adapting to requirements from a greater number of projects/clients, and systematically supporting project variations more closely in IT and operations. Overall, the project aims to deliver a demonstrator prototype software system showing how and when to switch between modes, and documented operational procedures showing how operations can be modified to take advantage of the new modes. It also aims to support YH Global in the development and implementation of their new IT architecture, which was designed as part of the previous ITALI project with YH Global. The project is led by Dr Philip Woodall and will collaborate with Dr Vaggelis Giannikas at Bath University. The Disaster Resilient Supply Chain Operations in South Asia (DROPS) project started in September 2016 and completed in March 2017. This project was funded by an EPSRC Global Challenges Research Fund Institutional Grant, in collaboration with Cambridge Engineering Design Centre and Department of Architecture. The vision of the project was to improve disaster supply chain operations by enabling resilience. Natural Disasters have affected 377 million people with worldwide economic damage of $92.38 billion in 2016 – both numbers are increasing over years (CRED, 2016). Whenever there is an earthquake, flood, heat wave or heavy snow, disaster management (response-recovery-mitigation-preparation) organisations provide medicine, food, water and shelter. However, a particular challenge is that the disaster management operations (DMOs) are disrupted due to disconnectedness between commercially established and ad hoc disaster management supply networks requiring future-proof DMOs aimed at saving lives, rebuilding infrastructure and society. As part of this project, a novel DROPS framework of considering resilience, supply network integration and big data analytics in DMOs was proposed (Masood et al 2017). This is based upon a 5-day International Workshop organised as part of this project at Cambridge during 28 Nov– 2 Dec, 2016. The workshop gathered senior practitioners, government officials and academics involved in disaster preparedness, mitigation and relief with expertise in aspects of supply chain operations, resilience and big data analytics. During the workshop, current practices, issues, challenges and key factors related to DROPS were explored. Earthquakes, floods, tsunamis and disease related disasters were discussed. Case studies and lessons learnt related to the project aims were presented on disasters and supply chain operations in Pakistan, Nepal, Bangladesh, Sri Lanka, India, New Zealand and USA. The project was led by Dr Tariq Masood and collaborated with Dr Emily So in Department of Architecture. The Resilient Architectures for Design and Manufacture project started in 2015 as part of the Advanced Manufacturing Supply Chain Initiative – Advanced Manufacturing of Homes, Buildings and Infrastructure (AMSCI-AMHBI). The project is aimed at addressing the gap in housing supply by creating a new Laing O’Rourke off-site manufacturing facility for 10,000 new homes each year and helping deliver the UK Industrial Strategy for Construction, targeting 33% lower costs, 50% faster deliver, 50% lower emissions and 50% improvement in the import export trade gap. The University of Cambridge team is addressing the overarching question of ‘how the resilience of novel construction elements and their associated design and manufacturing processes can be improved?’ Central to achieving this aim is the inherent importance of project management decision making, and the cross-team and cross-company information flow, design and production approaches and tools necessary to support effective decisions. The project is addressing the fragmented delivery approach of the construction industry by reviewing construction as manufacturing approaches, adopting the proven engineering tools and processes of the highly efficient automotive and aerospace industries while also developing new tools. 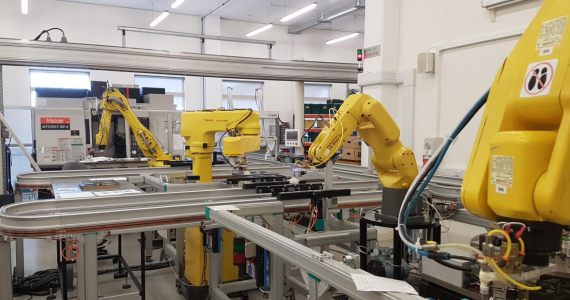 The project will deliver the understanding, tools and approaches required to support early design and production decision making in the manufacture of novel construction components in an advanced, highly automated, yet reconfigurable manufacturing plant. It will also assist the management of a stable supply chain for mechanical and electrical modules and integrated building and infrastructure assemblies. The project is led by Dr Tariq Masood and collaborates with Cambridge Engineering Design Centre. Laing O'Rourke, Airedale, Apex Cables, Armstrong, Arup, Beckhoff Automation, British Gypsum/Saint Gobain, BRE, Crane, Crown House Technologies, Expanded, Explore Manufacturing, Fulcro, Grundfos, Hamworthy Heating, Hoare Lea, Select, SIG, Thorn Lighting, University of Sheffield Advanced Manufacturing Research Centre and WSP.